Hasbro Gaming Lab is inviting creators, innovators and independent artists to submit their best board game ideas to its fall 2016 Next Great Family Game contest. The contest seeks the next face-to-face game that will “make the most epic family game night.” Think of the classics you played as a kid: Candy Land, Battleship, Sorry! Remember when Bop It! came out? It changed my 10-year-old life. 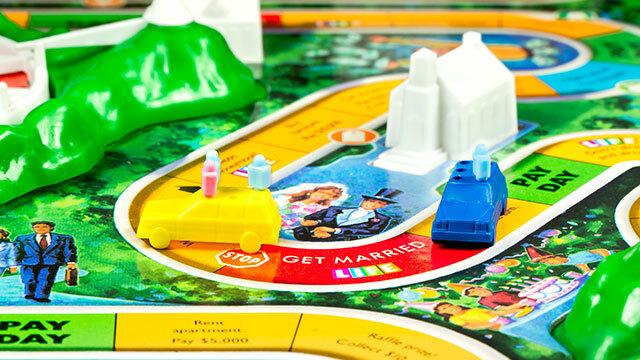 You could create the next board game that helps bring families together. How well it crosses generations — it should be fun for the whole family. The strength of the content, narrative and visuals matching the theme. Viability and potential for success — can it be manufactured and sold to a wide audience? In early November, five finalists will be chosen and receive $2,000 to run an Indiegogo campaign for their game. Judges — including Daymond John of “Shark Tank” — will consider these campaigns when choosing a grand prize winner around the end of February 2017. The grand prize winner will will receive $25,000 and a trip to Hasbro’s world headquarters in Pawtucket, Rhode Island, to meet with relevant business leaders for potential game development. You must be available between March 1, 2017 and June 30, 2017 for travel. The contest is open to anyone in the U.S. and Canada, except citizens of Quebec. Submit your idea to Hasbro by Oct. 23 to enter. Wondering exactly what they’re looking for? Check out last year’s winner: Irresponsibility: The Mr. Toast Card Game. It’s now available exclusively at Target stores around the country! “Essentially in one day, I went from being an independent artist to being a part of the Hasbro family,” says Dan Goodsell, the game’s creator and contest winner. As a finalist, Goodsell’s game was funded through a Hasbro-backed Indiegogo campaign and, finally, chosen for production and retail distribution. He got to visit Hasbro HQ to put together a new version of the game for retail, including a nicer box, more concise rules and revised artwork. In the month the game has been at Target, he reports an increase in his web traffic and sales of other products. What can you do to be sitting in Goodsell’s seat this time next year? And if you have a great idea — but not all the skills you need to execute it — Goodsell recommends working with a team and submitting your game together. Your Turn: Do you have a brilliant idea for a board game?